Welcome to Eye Surgery Clinic in Chicagoland! Trusting your eyecare to Dr. Leo Ayzenberg, a Chicagoland Board Certified Ophthalmologist, ensures the health of your eyes. 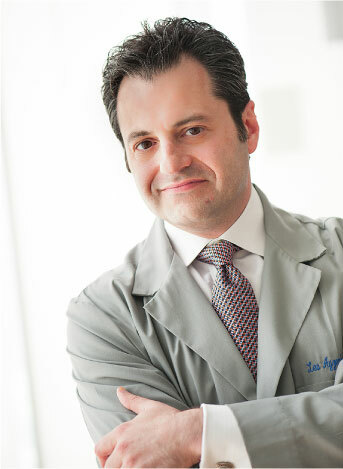 His commitment to personal attention guarantees high quality service, as Dr. Ayzenberg combines medical expertise and advanced technology during every exam. The health of your eyes is our staff's number one priority, and we are sensitive to each patient's unique situation. We communicate throughout the process of diagnosing your condition, performing surgery when necessary, and following through with appropriate aftercare. We place the utmost emphasis on safety and in maintaining the longterm health of your eyes, which includes recommendations for appropriate eyewear, and ongoing monitoring of your eyes. - Small-incision, clear corneal sutureless cataract surgery with topical anesthesia. - Laser surgery for treatment of glaucoma, diabetes, retinal detachment. - Laser surgery of secondary cataracts. - Laser treatment of corneal scars. - Other eye and lid surgery. During a comprehensive eye exam process, Dr. Ayzenberg does much more than just determine your prescription for eyeglasses or contact lenses. He will also examine your eyes for common eye diseases, assess how your eyes work together and evaluate your eyes as an indicator of your overall health. Many of us remember growing up with glasses that had no special shape and absolutely no comfort. Today Eye Clinic and Optical Boutique offers a wide selection of lens and frame styles that range from classy to cool. Our expert staff will recommend glasses that fit your personality. For our fashion-conscious patients, we carry designer lines that match your clothes, handbags and other accessories. Because glasses can be a big investment, and you'll be wearing them a lot, we will help you select a pair that feels comfortable and enhances your individuality. For our patients’ benefits, we are providers of many Vision Care plans.